Just to say that your bed has been getting a few admiring glances from a few of our visitors. We would be very happy to be one of your ‘local showrooms’ for any prospective customers. Many thanks for the great product and service. A great product and a great company backed up by brilliant staff! I was kept up to date throughout the whole process, all my emails and phone calls were dealt with promptly and efficiently. “Under promise and over deliver” should be their motto! I was extremely satisfied with the installation team and with their professionalism and attention to detail. The StudyBed is exactly as advertised. A quality product whose operation is a delight to engage, it’s so easy. The bed has already been used, and was indeed comfortable – my guest overslept! Just to say Thank you to everyone involved from the initial enquiry to installation yesterday. A smooth, courteous and hiccup free process. The bonus, of course – the study bed looks great and I know we will enjoy using it. I would like to say how efficient and tidy your bed installers were and completed their work quickly with little noise and the gave us a comprehensive demonstration of hoe the StudyBed operated. 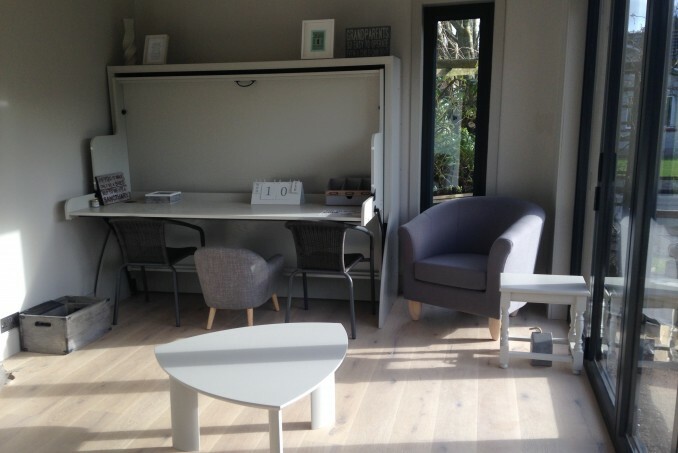 We are delighted with the build quality of the study bed and the installation team were excellent. A very big thank you to everyone at StudyBed. From the moment of my first telephone call right through to final installation, I found everyone I dealt with at StudyBed very polite, professional and helpful. My order was dealt with professionally and all paperwork immediately available and correct. Follow up questions and arrangement of delivery schedule were well managed. The installation team were prompt, efficient and could not have been more helpful. The study looks fantastic, Steve and his colleague worked very hard to give us an amazing finish to the room and to also have additional shelves will enable us to change the wardrobe layout in the future. I am absolutely delighted with all the things that have been fitted. The study bed, wardrobe and filing cabinet look great.